The Kia Stinger was one of the most hotly-anticipated cars of 2018, with the Euro-fighting turbocharged fastback showing the world just what Kia was capable of making when it’s designers and engineers really stuck their heads down and got to work. 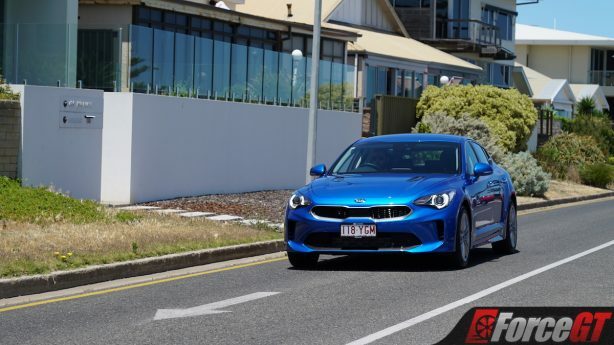 While it’s received very positive reviews since its launch – we scored the flagship GT 4.1 stars when we reviewed it last year – all the praise has been placed upon the more-powerful twin-turbocharged V6 variants, leaving the budget-minded four-cylinder model in the big six’s shadow. 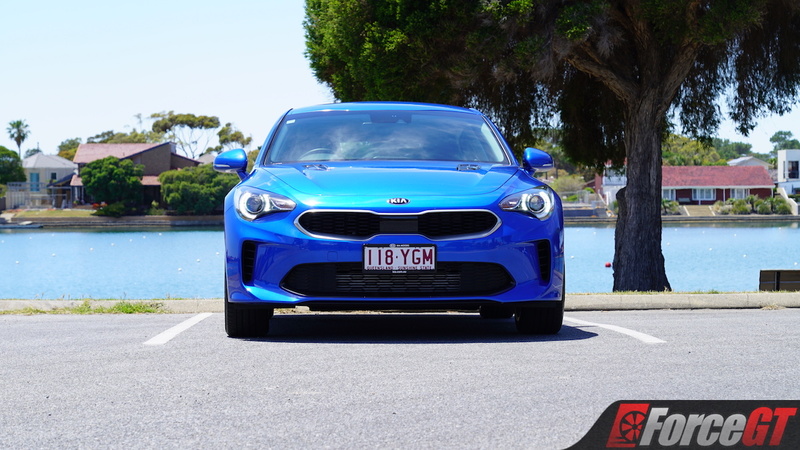 That’s why we wanted to take a look at the cheapest Stinger money can buy – the 200S, priced from $45,990 – to see if the four-pot can manage to match the magic of the hefty V6. 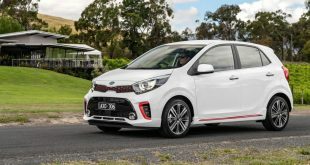 For your fourty-five-odd grand, what you get under the bonnet is a 2.0-litre four-pot with a single turbocharger that manages a respectable 182kW and 353Nm, which is paired to an in-house eight-speed automatic transmission and rear-wheel drive. 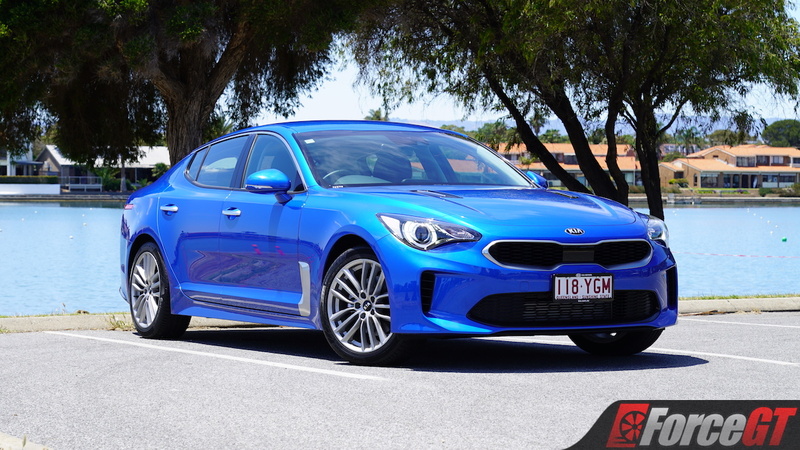 Those power outputs are down 90kW and 157kW from the larger engine – equivalent to around one whole Kia Rio GT-Line – and while that is a fairly significant difference, the smaller engine does bring the weight of the Stinger down 87kg over the comparable 330S. Although the interior specification of any V6 can be matched in four-cylinder models, opting for the entry-level S isn’t actually going to leave you wanting for too much. 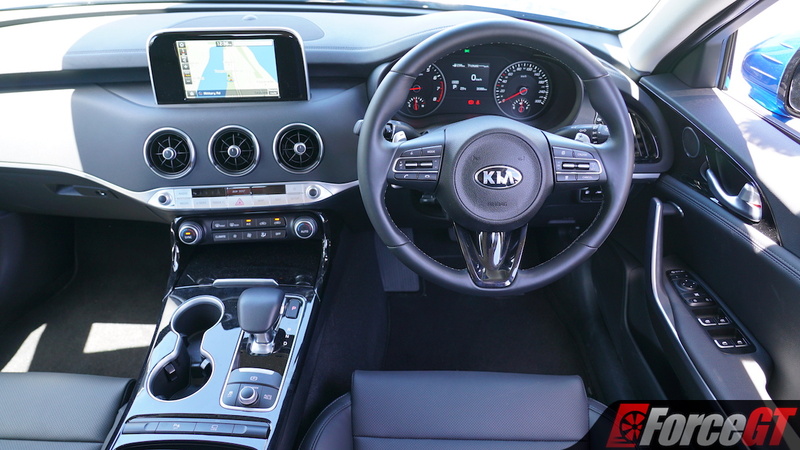 Standard kit includes leather-like upholstery, power adjustment for the driver’s seat, and a seven-inch infotainment system with satellite navigation, digital radio, and Apple CarPlay/Android Auto compatibility. 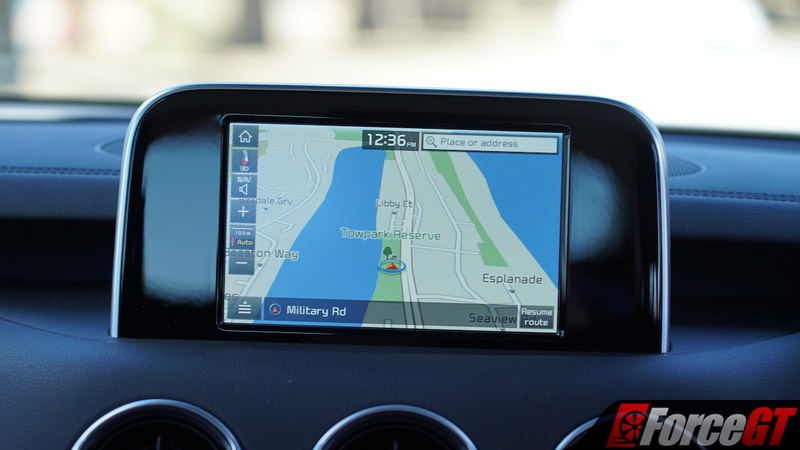 It would be nice, however, to have the larger eight-inch screen of models higher up in the range, along with the larger and higher resolution screen in the gauge cluster that’s found in the GT. 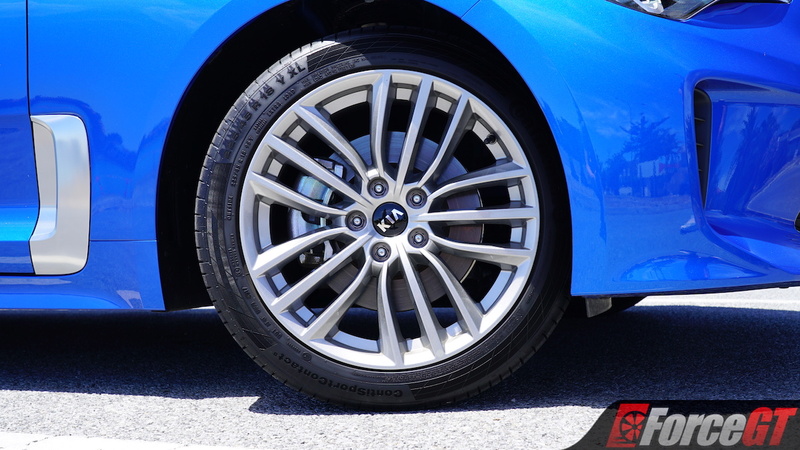 Externally, the only real thing differentiating the 200S from the 330S is the standard alloy wheels on the four-cylinder, rather than the diamond-cut wheels of the V6. And on the topic of looks, isn’t it a gorgeous thing? Regardless of what’s under the bonnet, this thing is a real head-turner, particularly in the sparkly Deep Chroma Blue of our tester that dramatically changes tone under different light. Its long wheelbase and wide stance gives it some real presence too, although the fatter rubber of higher-spec models would help to beef up the rear a bit. 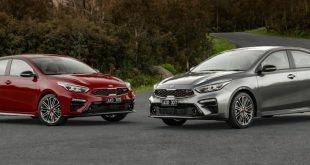 While a lack of autonomous emergency braking and forward collision warning gave 2018-spec S-trim Stingers a controversial 3-star ANCAP safety rating, these have now been added as standard equipment for 2019, bringing the base-model’s safety rating up to the same 5-stars as the rest of the Stinger range. While stepping up in the range does get you proper Nappa leather upholstery, the man-made leather seats are perfectly comfortable, even though the driver’s seat does lack lumbar adjustment, although standard power adjustment for the driver does make it easy to find the right position. 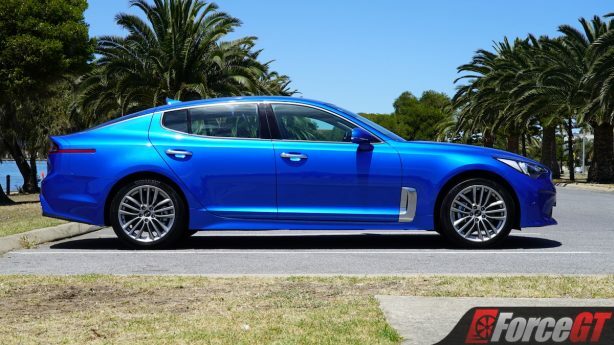 In the Stinger, you get the feeling you’re driving something special as the seating position is low-slung and involved, making you feel like one with the car. 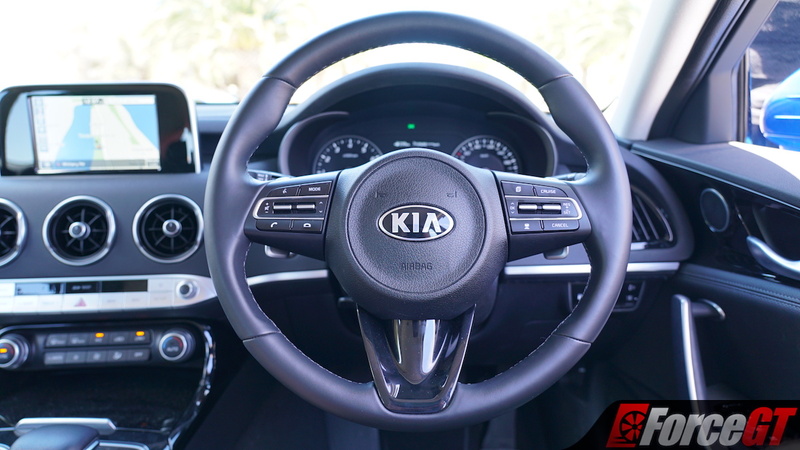 It’s spot on, as is the amount of rake and reach adjustability from the well-sized leather-wrapped steering wheel – which is, of course, adorned by a set of paddle shifters. 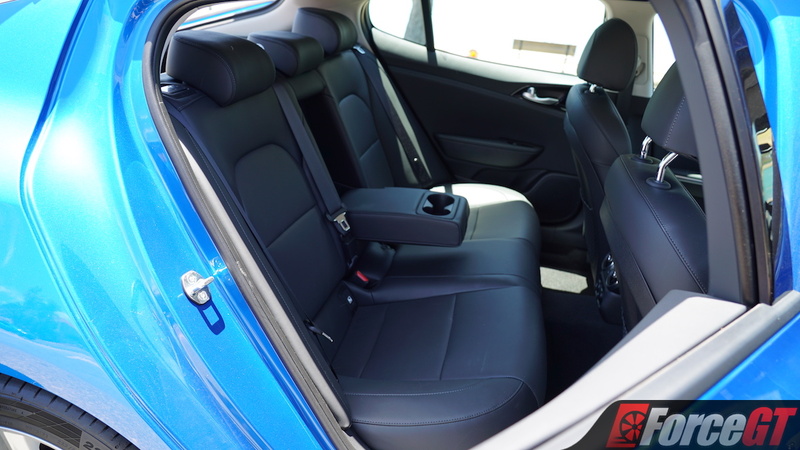 Legroom is excellent for both front and rear occupants – even with the driver’s seat nearly all the way back – thanks to the Stinger’s length. 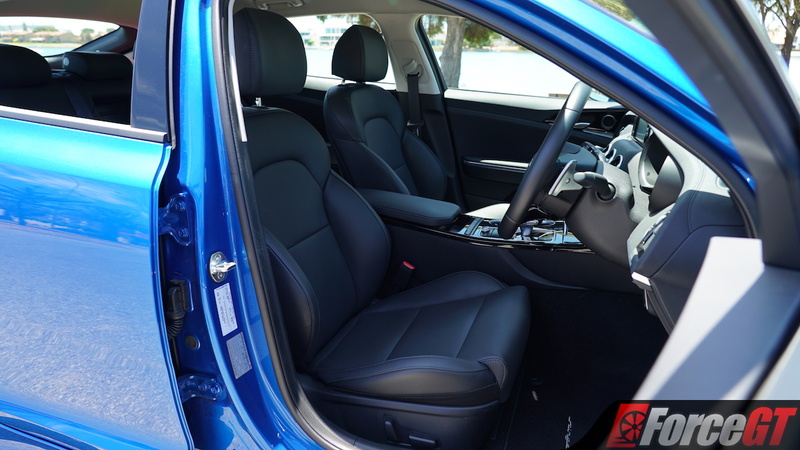 However, while headroom is good for those up front, the sloping coupe-like roofline does cut in quite significantly, creating issues for those in the rear, not to mention brushing your head against the top of the door opening during entry/exit. 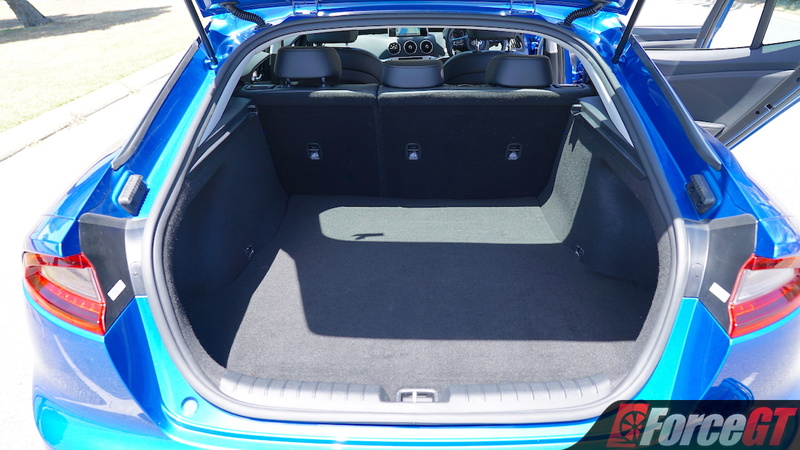 Storage space is good up front, with a long and wide centre console – although it is admittedly shallow – along with a covered cubby hole below the climate controls and big door pockets. The boot is also commendably large, and with the rear seats folded down I was able to fit some tall shelves in the back with room to spare, although the height restrictions caused by the low roofline meant I’d need to take two separate trips to move each set, along with necessitating the removal of the parcel shelf. It’s also worth noting that while the interior is pretty good overall, there was a persistent rattle and squeak from somewhere over on the passenger side of the cabin that did raise some questions about how well it’s all been pieced together. 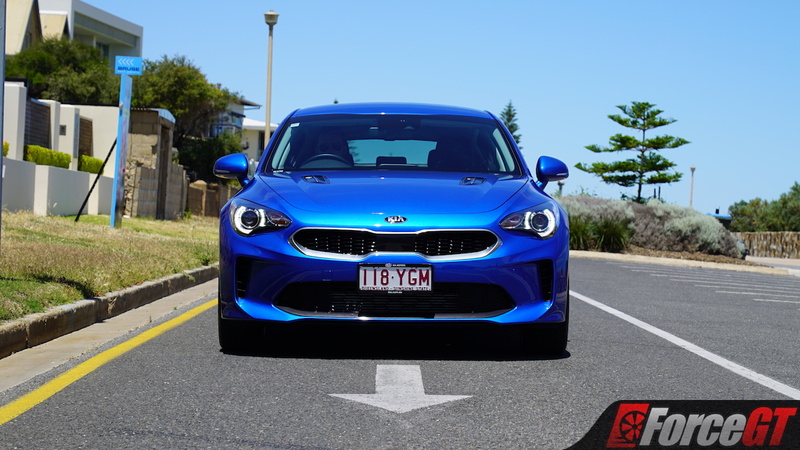 But while the Stinger is clearly as practical and comfortable as any other offering from Kia, the way it drives puts it in a class above. 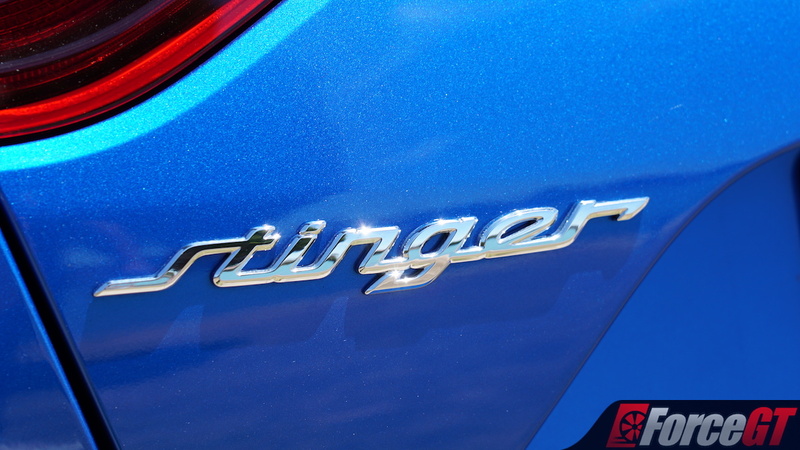 And while most people are unlikely to be cross-shopping the Stinger with anything European – since the preposterous Luxury Car Tax puts even entry-level German and British offerings a price bracket up – it offers a closely-matched level of refinement and confidence on the road. With quick and responsive steering and a perfectly-balanced chassis, it holds its line firmly through the bends – even while riding on skinny 225-section tyres – and remains composed even on the limit, with no more than an acceptable amount of body roll. 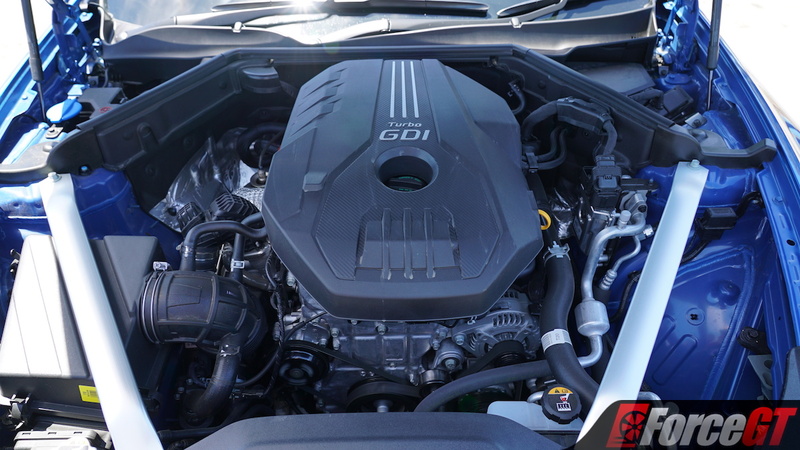 The smaller, narrower, lighter in-line four-cylinder under the bonnet helps make for a more responsive front-end too, allowing for greater precision to make up for the lower power figures. And while four-pot Stingers – like many equivalent entry-level European offerings – lack a limited-slip differential in the rear, it’s still fairly easy to induce and control some tail-out action, although a bit more thought is involved with the less powerful engine than with the big V6. 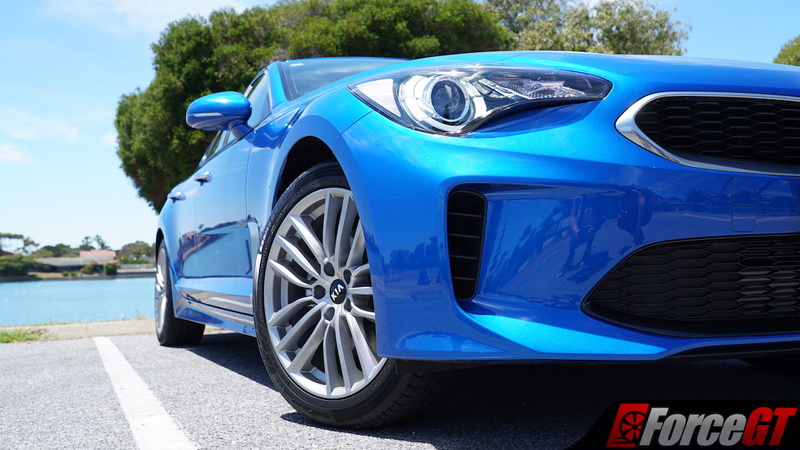 While in the more powerful Stingers you can simply step on the throttle and let the rears spin, you’ll need to be in the right gear at the right revs and with the correct steering angle to get the 200S to slide. Catch it off-guard, however, and that can be trickier than you’d imagine. 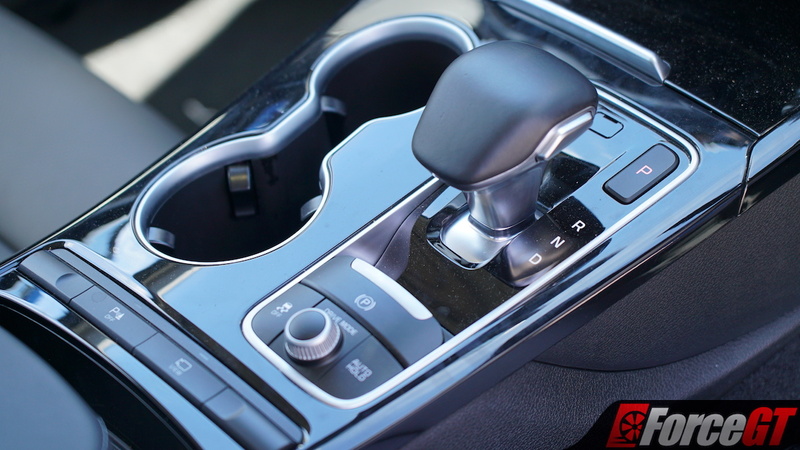 Although there are a set of paddles on the wheel with which to control the eight-speed auto, there’s no dedicated manual mode, meaning that if you haven’t shifted for a while it will go back to selecting the gears itself. Is it irritating? Yes, but you’ll quickly learn how to get the best out of it. We did also find from time to time, particularly on cold starts, that the transmission wasn’t the smoothest, with some shifts feeling a bit clunky and jerky. 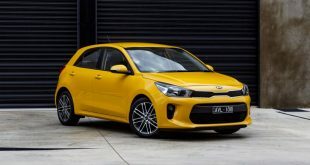 There’s not an awful lot to pick at with the engine, however, as it’s a quick-revving and lively little thing that climbs onto the boost quickly, with peak torque coming on at just 1,400rpm. 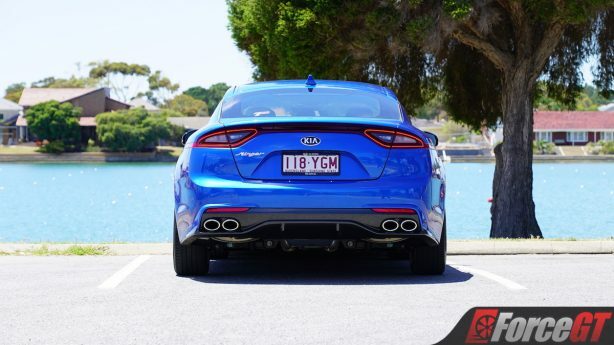 From a technical perspective, it’s great, although it would be nice if it made a bit more noise, and if that noise was a bit better than what currently comes out of its tailpipes. The other real niggle I have with it is in a car as heavy as the Stinger – it tips the scales at nearly 1.7 tonnes – it lacks the sort of urgency that a car like this demands, even with the help of launch control. That weight doesn’t help with braking either, as the less-powerful in-house brakes on four-cylinder models heat up quickly and lack the repeated stopping power of the big Brembos fitted to all V6 variants. 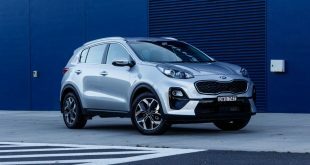 As such, the four-pot lends itself better to making the daily commute that little bit more fun, rather than being a serious performer like the twin-turbo six with its torrents of torque. 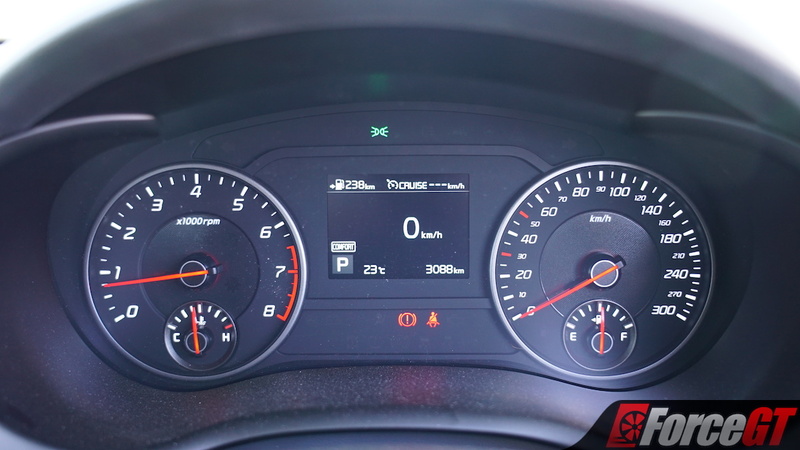 And a smooth, comfortable, and comparatively economical daily-driver it is, offering a fairly smooth, well-damped ride and decent fuel economy when you aren’t ragging on it. 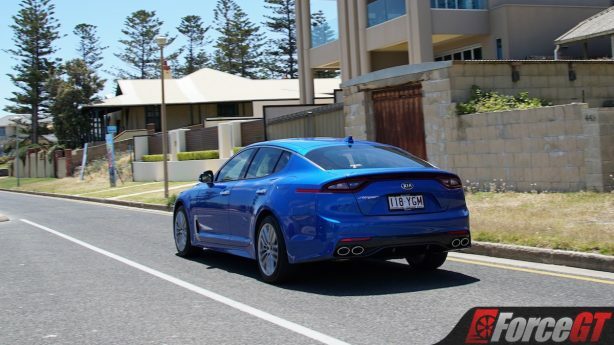 While the four-pot Stinger isn’t quite the giant-killer that the V6 certainly is, it’s not a car to be dismissed. 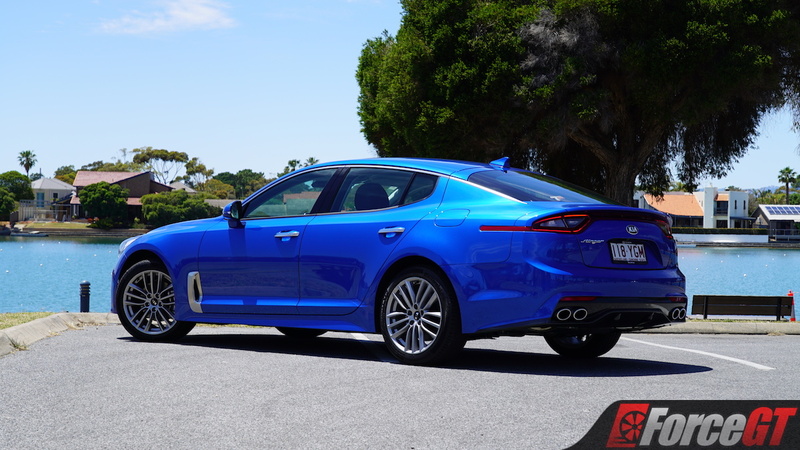 If you want attention-grabbing looks, rewarding dynamics, and just enough performance to satisfy, but don’t want or need a big, thirsty engine that’ll break the bank with an untamed drinking problem, the 200S plugs a hole left by the Commodore SV6 and Falcon XR6 perfectly. Sure, it’s not a full-fat, tyre-shredding monster, but it’s all the Stinger anyone without a membership at their local racetrack really needs. What you really want, however, is another question entirely, so it’s a case of either listening to your head or your heart when it comes to choosing between the Stinger’s two drivetrains. 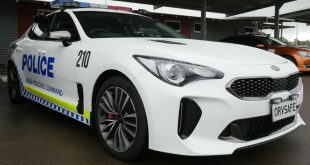 On a side note, it’s also worth commending Kia for adding extra safety equipment to S models such as our tester to improve their ANCAP ratings as well, only enhancing the everyday liveability of the entry-level 200S. 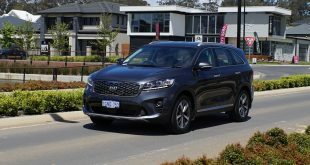 2019 Kia Sorento Sport V6 Review – worth the step up? 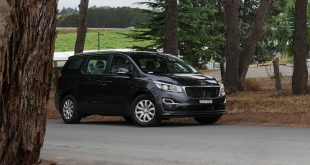 2019 Kia Carnival S Diesel Review – can it really handle eight?